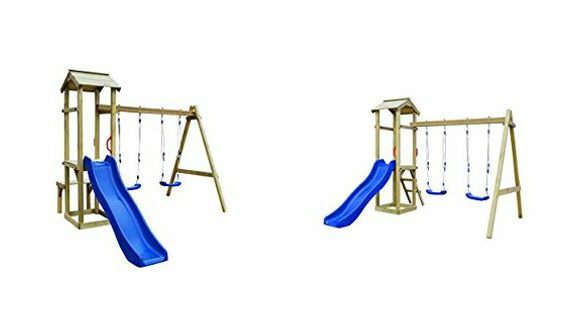 If you are considering buying a Vidaxl Swing set in the coming days or weeks, then make sure to check out this brief review which will outline all the major pros and cons that you need to be aware before you spend your money. 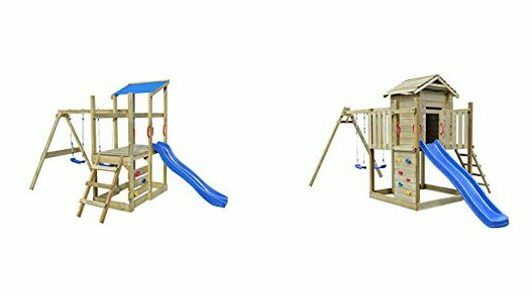 We will also outline some frequently asked questions that should be of interest to you also that have come up in the recent past and also a selection of images of the range of Swing sets currently available under this brand. Please note also that guide prices can only be presented at the time of this review as prices can change from week to week or month to month depending on discount activities so please make sure to view the price checkers provided below to ensure you have the most accurate up to date price information. Q. 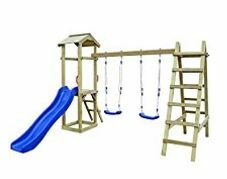 What wood is used for these Swing sets? Q. How many models are available to choose from? Q. Do any of them include ground anchors or ground stakes? Q. How long are the slides? Q. 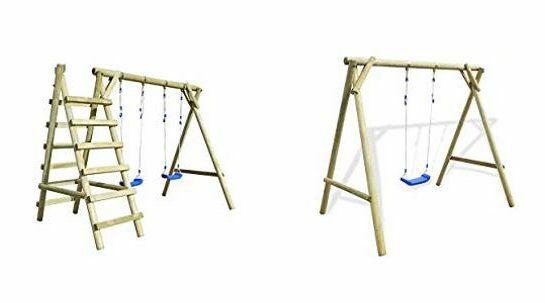 What is the maximum weight capacity of the swings? Q. What tools are needed for assembly? Q. Are all the holes predrilled for assembly? A. No, not all the holes are predrilled so it requires a certain level of carpentry skill. Q. Do they need to be cemented into the ground? Q. Are the assembly instructions included? Q. Do you need to add sealants / wood preservatives? Good selection of prices also available depending on what you can afford – some are available for less than $150 while some are £500+ if you can afford them. 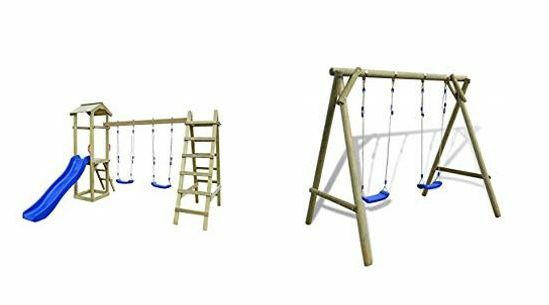 Made from green impregnated pinewood which is rot and insect resistant and also weather resistant. If assembly instructions are missing, they can email you a PDF file for the assembly procedure. You will need a power drill and drill bits for assembly so this is an added expense if you don’t have these tools already in your shed. 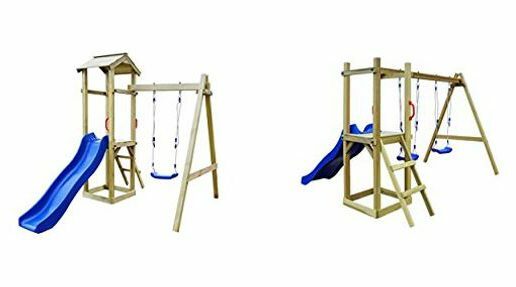 Have you or your kids any personal experience with the Vidaxl Swing Sets in the past? If so, then please share your thoughts and feedback with the wider UK community by leaving a comment in the comment section below – So that they can learn also!!! 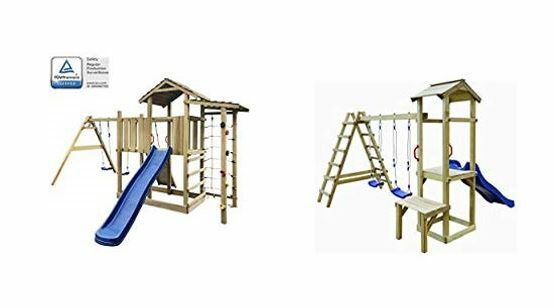 Posted in Swing Set Reviews and tagged Vidaxl climbing frame, Vidaxl climbing frame review, Vidaxl Play set, Vidaxl Swing, Vidaxl Swing Set, Vidaxl Swing Set review.